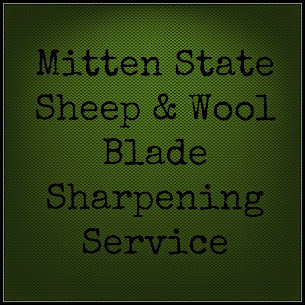 Mitten State Sheep & Wool : Shepherdess Notes: A Lamb for your Birthday? Today is my birthday. I won't bore you with my age, but I will say that I have celebrated 16 birthdays on the farm and 15 of those raising sheep. Time flies, when you are having fun! Looking down memory lane, I recall spending one birthday, at a sheep farm. The day ending with me in a truck, with a lamb on my lap (in a box) and a big grin on my face! I enjoy spending time at Sheep farms, Sheep Symposiums, and Fiber Events, even on my birthday! I like to look back and think that this endeavor has been time well spent. I have learned a lot, living out here. I have had many successes and many failures. I have had joy and heartache. There have been times I have thought I could never live anywhere else, and times I was ready to call a moving van, and NO, the animals were not coming with me. Overall, it has been a good life, and I hope to spend many more birthdays here.. Happy Birthday Sandra! I hope you have a very special day, what ever you decide to do! I got a bottle lamb for easter once...I called him Jump Buck and he was totally cool. I taught him to pull a cart and had some serious adventures with him and the said cart [including moving out and running away at 9 with all my worldly goods and a loaf or raisin bread!] I pity children who do not have animals in their lives and I also feel for adults who do not have the joy of animals in their world! Happy birthday and enjoy the critters and all they bring, from joy to tears, they help us live as we should! Happy Birthday from another city girl- turned farmer! Happy birthday! I couldn't think of a better birthday present myself! Happy Belated Birthday, Sandra. I hope you enjoyed your special day. I love the enthusiasm you have for sheep. My Mom gets the same enjoyment from her sheep. I love to help her do sheep chores and see the joy in her smile. Here's to many more lovely years of raising sheep and a successful lambing season!